This is our Rose Otto Attar Steam Distilled Attar. 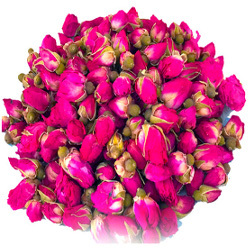 Herbal Folk Traditional uses for Rose Otto Attar include aphrodisiac, cools hot inflammation or hot swelling. Rose Otto Attar is a pale yellow or olive yellow liquid that has a very rich, deep, sweet, floral, slightly spicy scent. Rose blends well with most oils, is useful for rounding off blends and is beautiful as a stand alone oil. Rose Otto Attar blends well with Agarwood, Amyris, Bergamot and most citrus oils, Beeswax, Black Pepper, Blue Tansy, Boronia, Carnation, Cassie, Cedarwood, Cinnamon and most spice oils, Clary Sage, Coriander, Fossilized Amber, Frankincense, Galbanum, Geranium, Helichrysum, Jasmine, Laurel Leaf, Lavender, Lemon, Litsea Cubeba, Liquidambar, Melissa, Myrrh, Neroli, Orange Blossom, Orris, Palmarosa, Patchouli, Peru Balsam, Petitgrain, Roman Chamomile, Sandalwood, Spikenard, Tuberose, Vanilla, Vetiver, Violet and Ylang Ylang. Rose Otto is known as the oil of Love. It therefore has deep psychological effects that encourage the opening of the heart while soothing emotions. Rose Otto is very useful for anxiety or depression. Rose Otto has the ability to heal emotional wounds and has the highest frequency of all essential oils so it has the highest healing energy. Placing a drop on your finger and rubbing on the bottom your foot will circulate to the head region in 20 seconds! Rose Otto Attar Essential Oil is used to make rose water which is used as a household cosmetic and culinary article. Rose is also used to make cosmetics, perfumes, soap and toiletries as well in some flavorings. It takes about 4500 kilograms of rose petals to produce 1 kilogram of Rose Otto. Rose Otto Attar Essential Oil has the following actions: antidepressant, anti-inflammatory, antiseptic, antispasmodic, anti-tubercular agent, antiviral, aphrodisiac, appetite regulator, astringent, bactericidal, choleretic, cicatrisant, depurative, emmenagogue, heart tonic, hemostatic, hepatic, laxative, liver tonic, nervous sedative, stomachic, stomach tonic and uterine tonic. 1/4 ounce/7.39 mililiters. Bottled in brown glass. Shelf life is 4 years or more.